That fringe of long silky hairs. 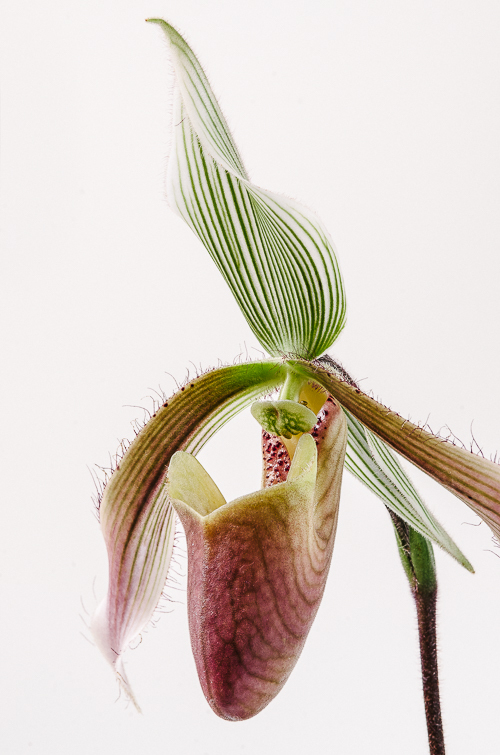 Paphiopedilum dayanum always gets a second look from me. True, there are other Paphs with hairs, but this is the only one in our collection that triggers a grooming impulse. What other orchid has petals that need combing? 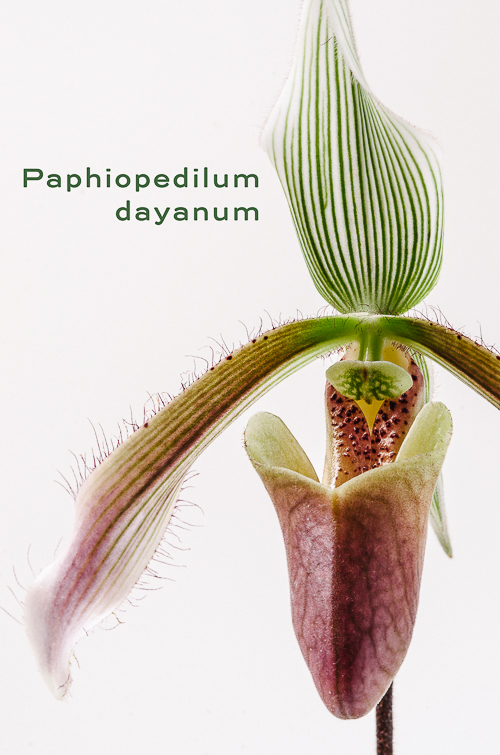 Paphiopedilum dayanum is one of those select plants that grows on Borneo's Mt. Kinabalu and nowhere else. Like many terrestrial orchids it occupies a specialized micro-habitat. Phillip Cribb reports that it grows in leaf litter under bamboo and at the base of trees on steep ridges around the mountain at 300 to 1450 meters elevation. Why the the hairs on the petals? They may be an adaptation to attract flies that can pollinate the flowers. Hairs, warts, aphid-like bumps. Carrion colored flowers. Together, these comprise a syndrome associated with fly pollination. 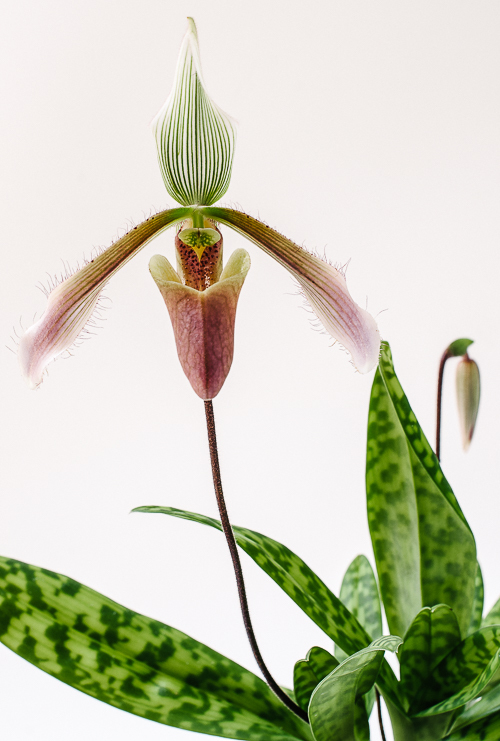 Paphiopedilum dayanum has been trouble-free for us. It seems fine with temperatures on the warm side of intermediate (60 to 62º night minimum) in a shady greenhouse in a mixture of fine fir bark, chopped moss, charcoal and perlite.